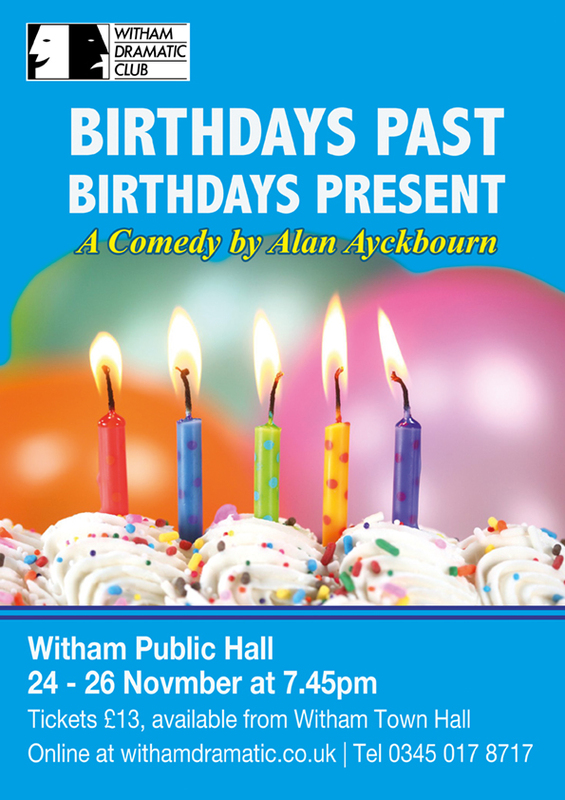 You can email us at Contact@WithamDramatic.co.uk or telephone 01621 892404. We are always delighted to welcome new members of all ages and backgrounds. Whether you are a complete novice or have a wealth of experience we would love you to come and join us. Putting on a play doesn't just need actors, of course, and we we are also interested to hear from people wanting to help backstage or front of house. There are a huge range of skills needed, such as set building and painting, lighting, wardrobe, props, sound, hair and make-up. We also have an active social side with trips, parties, quizzes, workshops etc. so even if you don't want to be in the spotlight all the time there should be something to interest you! To join simply drop us an email and we will do the rest. If your interest in the Witham Dramatic Club is purely as a member of the audience, why not join our free emailing list? Simply click here and complete the online form. Our home, the Public Hall, is now being run by a charitable company. This means that as well as the regular shows put on by the town's performing arts groups, there is a programme of entertainment covering everything from dance to drama, comedy to music. Visit the Trust's website at www.withampublichall.co.uk. Although we would love you to get in contact with us and join our club, there are other groups or areas of interest that you might like to pursue. Below are some links you may like to check out.